BikeRegister has teamed up with Cycleplan to offer you 4 weeks free bike insurance when you register your bike with BikeRegister. There are often limitations with household insurance policies, which mean that your bike may not be covered by your home insurance policy. Cycleplan offers you cycling insurance that can be tailor-made to suit your individual needs, giving you peace of mind every time you saddle up. Once you have registered your bike with BikeRegister you will be offered the opportunity to click on a link which will take you to the "Cycleplan 4 weeks free insurance" activation page. Your data will only be captured by Cycleplan, and your insurance will only be activated, when you complete your request to take out the 4 weeks free insurance on the Cycleplan website. With the average bicycle costing around £800, we recognise it is becoming more and more important to protect your bike as you would any other asset, you can do this by marking it through BikeRegister and taking out adequate insurance. 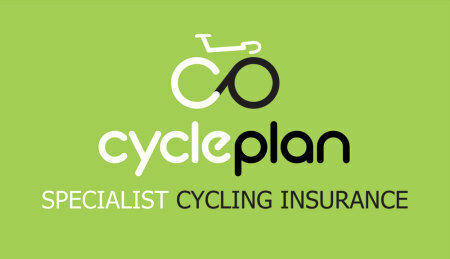 By taking out the 4 weeks free insurance with Cycleplan you will be covered for Bicycle(s) up to £2,000 and clothing and Accessories up to £500. Furthermore, Cycleplan will discount your annual premium by 25% if you use a BikeRegister kit to mark and protect your bike. To find out more about Cycleplan please click here.